Erected 1966 by U.S. Department of the Interior, National Park Service. Location. 42° 12.625′ N, 79° 27.883′ W. Marker is in Chautauqua, New York, in Chautauqua County. Marker can be reached from the intersection of Whitfield Avenue and Vincent Avenue, on the right when traveling north. Touch for map. Marker is on the grounds of the Chautauqua Institution. Marker is at or near this postal address: 24 Whitfield Avenue, Chautauqua NY 14722, United States of America. Touch for directions. direct line); This Tower (about 800 feet away); Pier Building (about 800 feet away); Pioneer Home (approx. 1.6 miles away); Mayville Station (approx. 2.9 miles away); First Settler (approx. 3 miles away); Tourgee Home (approx. 3.4 miles away). 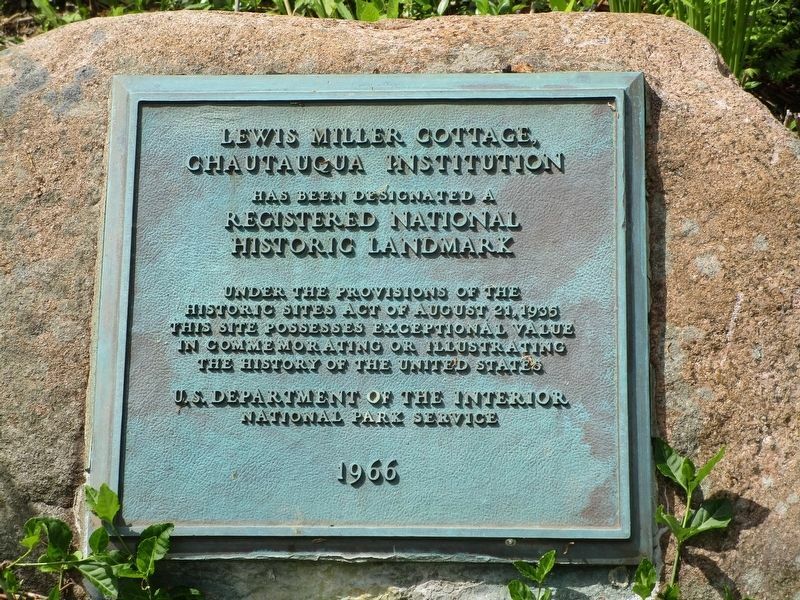 Touch for a list and map of all markers in Chautauqua. More. 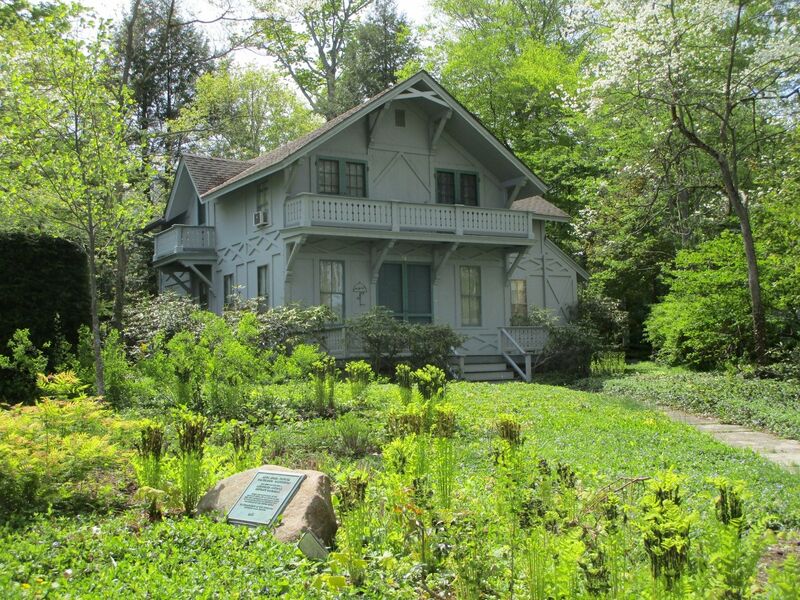 Search the internet for Lewis Miller Cottage. Credits. This page was last revised on May 19, 2018. This page originally submitted on May 19, 2018, by Anton Schwarzmueller of Wilson, New York. This page has been viewed 77 times since then and 10 times this year. Photos: 1, 2. submitted on May 19, 2018, by Anton Schwarzmueller of Wilson, New York.